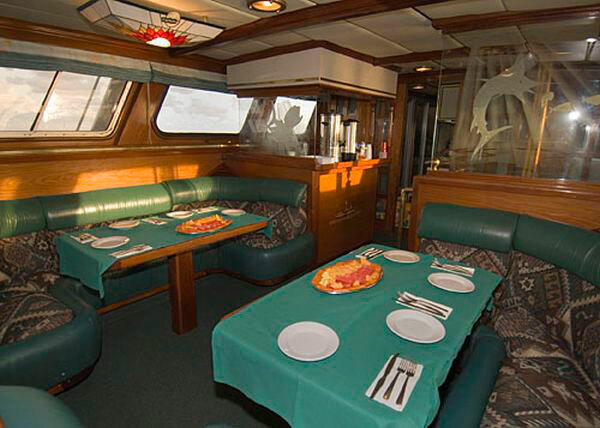 The live-aboard Solmar V is a luxury dive vessel of 112’ /34 meter, Solmar is operating since 1992 from Cabo San Lucas, Mexico. 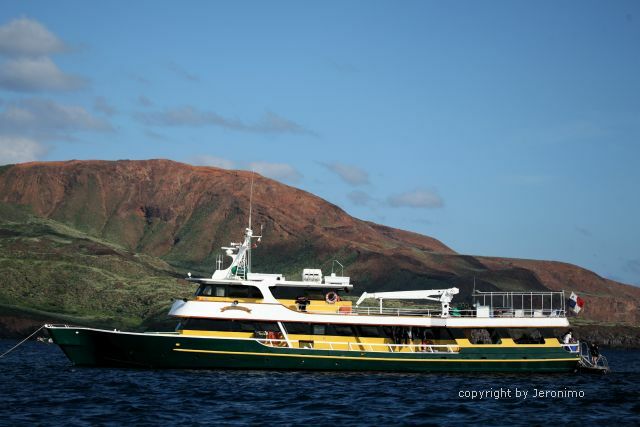 The live-aboard trip to Revillagigedo archipelago, more commonly know as Socorro Island depart from the south of Los cabos into the eastern Pacific Ocean. 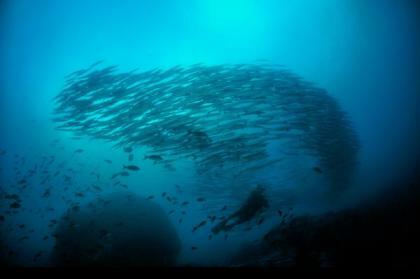 Usually the adventure start at san benedicto Island continue to Socorro and finish in roca partida but it depends of the weather conditions. 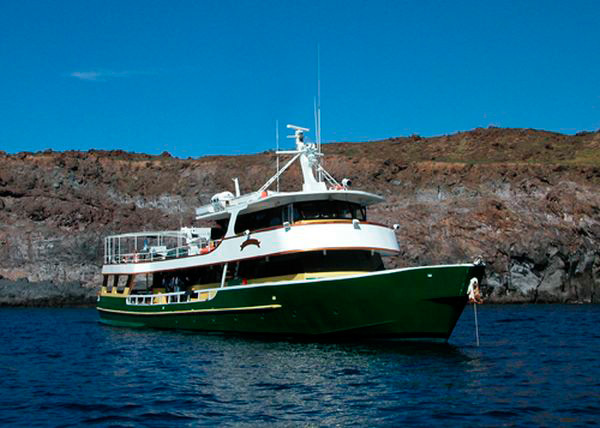 Trips to Socorro with Solmar depart usually twice or thrice per month with a maximum of 22 divers and a crew of 10. 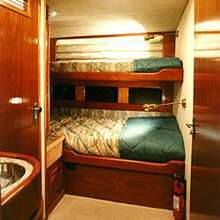 The Dive-Deck was designed for flow and ease of use with a lot of space even with a full load. 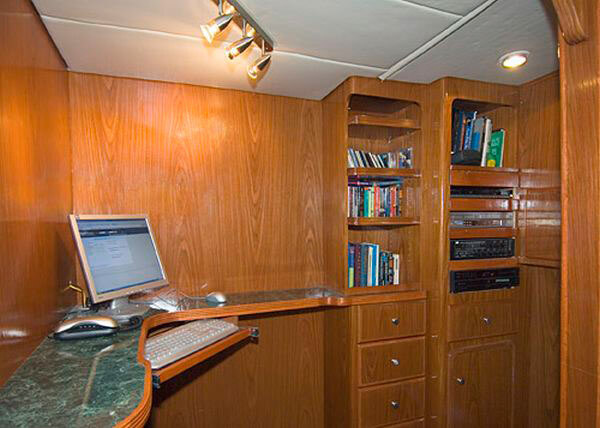 On the dive deck you find two fresh water shower for use directly after the dive and additionaly 4 large rinse bins on the back of the dive deck, in the center of the dive deck is located the camera the camera table with an air gun and charging stations, to reach the dive spots. 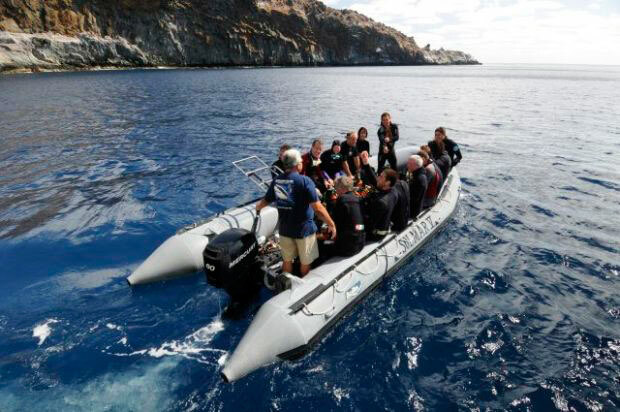 Solmar is equipped with 2 zodiaks so divers are divided in 2 groups. For fast filling the compressor system consists in twin compressor with cascade storage wich guarantees a smooth diving operation. Nitrox 32 and 36% is available Solmar V.
SOLMAR V is located at the marina in downtown Cabo San Lucas, Mexico on one of Mexico’s fastest growing oceanside resorts. Get to the Solmar V is very easy now, you need to fly to the international airport of the San Jose del Cabo area. When searching online at one of the airlines or agency sites, use airline code SJD. 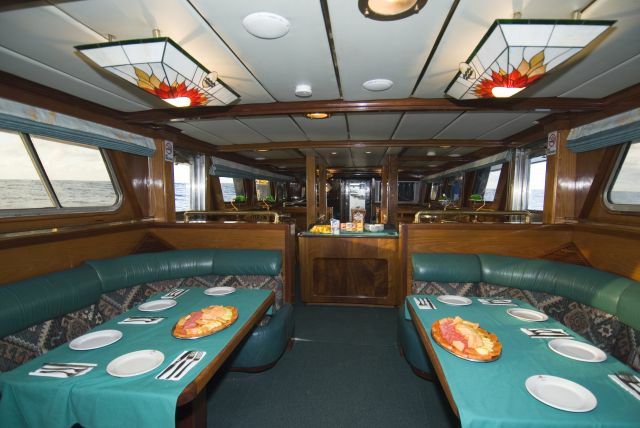 There is a short ride by taxy or bus From the airport or hotels in the area to the Solmar.